We help bring your Handyman on demand startup business idea to life. 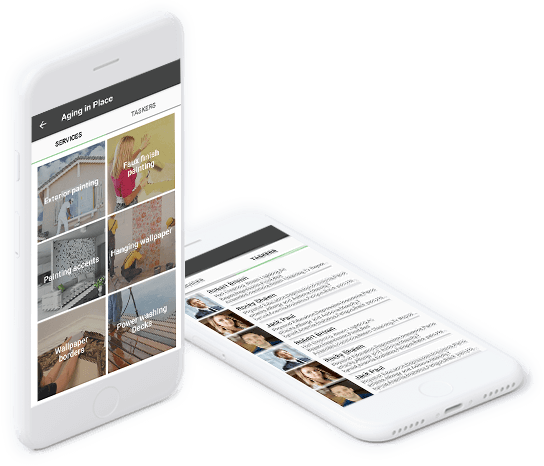 Our versatile technology blueprint enables you to get started with your On Demand Handyman website and/or mobile apps similar to Handyman App Development with custom front-end UI, advanced admin dashboards, powerful analytics panels etc. Are you thinking to start your own handyman app like Uber? Or are you already in the same business and want to go online? See, the ultimate goal of you and us is the same to make the lives of the people easy and take your business ahead of your competitors. What are you waiting for? Contact us with your exact requirements for Handyman App like Uber. Handyman App will be a peer-to-peer platform that let people hire qualified and verified handyman near them. Handyman App like Uber is designed to connect the millions of people who have small handyman jobs around their residences and also businesses with the skilled and experienced workers who are seeking to get add-on work on the evenings and weekends. Here are some key benefits of Handyman App developed by NCyrpted Websites. Registration: Users are able to register themselves with email or facebook. Scheduling: Once registered, users can schedule an appointment for the required service. Tracking: Users will be notified about their appointment dates, schedules, and ETA. Payment: An easy online payment with a debit card, credit card, integrated wallet etc. Rates and Reviews: After the availability of the relevant service, users can leave the feedback about the service. Why NCrypted for your Handyman App like Uber? Get custom development for Handyman on demand App. An effective board/interface to effortlessly deal with your whole on-request benefit. Tracking: Customers will be notified of their appointment dates, schedules, and ETA. Caller Identification: The Handyman can see the customer details and location before accepting the job. 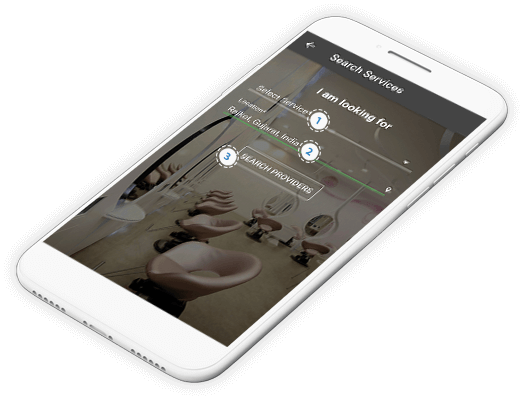 Multi-location Access: Customers can make a booking for someone else at some other location using the Handyman On Demand Mobile Application. Transaction History: Both customers and the Handyman can see the transaction history of the jobs and the payment from the app. These are the principal components. You can ask for the more parts as indicated by your requirements. Focus on your market part, your expected premium gathering and its needs and we will give you your right necessities. Handyman App like Uber joins all the imaginative edges and their use, necessities of industry, customer upkeep components, and each other thing which is the requirement for the creation and the change of a forefront On Demand Services Mobile App. Making your own Handyman App like Uber and for this, it is fitting to listen to some ace people yet make a point to move to your own target. The mix of the experience of the pros of development and your own particular feelings and personality is a perfect condition for pioneers of the business. In the event that regardless you have questions, please connect with us. We have each one of the proper reactions. We might need to help you in the best way. Our specialists correctly know how best applications are considered without barely lifting a finger. You will reliably get the most sizzling information of advances for your Handyman Service Providing Business. After all, your work for your business accomplishment is a mutual goal for both of us. Startup life cycle typically starts with you, as an entrepreneur and founder, having an idea for Handyman App Development that can either solve an existing problem or it could be of adapting another successful business model to cover the uncapped market. You would be looking at scaling up your startup once you have the Handyman App Development product validated with the much needed traction. Finding right marketing mix, knowing which markets to expand to, enhancing the Handyman product as per user feedback and market demand, etc. Converting your Handyman App Development idea into execution demands domain understanding, proficiency, understanding and dedication. We offer custom product engineering solutions for your handyman on demand startup requirement. See how we can add value to your business to shape your idea into reality. Whatever is required to present and envision your handyman on demand startup idea in order to implement, our Business Analyst team would be working on wireframes, SRS, SOW, UCD (Use case diagrams), sequence diagram etc. to analyze the vision. We will narrow down on the typical features required along with the UI and UX (User Experience) that can engage your target audience. It could be identical to one of your reference Handyman App Development sites or it could be completely different and unique. Development would be in accordance with your custom Handyman App Development requirements. We have Center of Excellence (CoE) assigned to carry out your requirements which involves agile development methodology and DevOps to implement the solution. Handyman App Development is a complex process and comes with a lot of moving parts. Creating the digital infrastructure for Handyman from scratch requires a longer turnaround time and hence becomes costly. We understand handyman on demand startup space and our clients benefit from our domain experience and robust backend technology. We know that a me-too Handyman App Development idea isn't enough to create a stir in the market. Scalable technology back-end for growing handyman on demand startup demand - you will never have to redo it all over again! Our unparalleled domain expertise in Handyman helps you to avoid common mistakes that other startups would do.